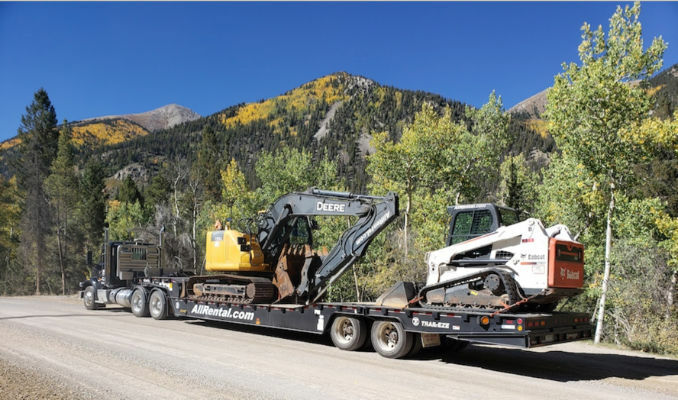 For generations the same family has owned All Rental Center and has been serving homeowners, construction companies, and builders alike with the widest range of tools and equipment for rent in the Pikes Peak region of Colorado. We have been providing reliable service, first-rate machinery and tools to those in the Greater Colorado Springs area. Whether you are looking to rent or buy tools, large equipment, or extra pieces for the equipment you already have, we have what you are looking for. We know you might not need to buy every tool you will need for just one job, so we strive to offer you the best tool rental experience. We offer options to rent by the day, week, or month so you can make sure to have the tools you need at the right times. Whether you are in need of large equipment, small hand tools, tables and chairs, or trailers to move all your supplies; we have you covered. With hundreds of products and flexible rental options to cover you for a day to several months, we have the tools and equipment you need to get every job done. With our convenient location in Colorado Springs, All Rental Center’s excellent service and high-quality, well maintained equipment will meet your needs. We help our clients work smarter, not harder. Do you need a a lawnmower, tiller, or ladder, but don’t have a way to get it home? All Rental Center Colorado Springs announces new lower delivery rates for small equipment! The item must fit into a pickup and is based on the distance from our store. Rates start at $25 for delivery and pickup total. Call (719) 599-5118 in Colorado Springs for more information!